An All-Star Cast of Ukulele Artists from Across the Country. Finding a ukulele at the Pasadena Rose Bowl Flea Market in 1992 inspired Liz & Jim Beloff to start Flea Market Music, Inc., publisher of the popular Jumpin’ Jim’s series of ukulele songbooks. This series is sold worldwide and includes The Daily Ukulele: 365 Songs For Better Living and The Daily Ukulele: Leap Year Edition, two of the biggest and best-selling ukulele songbooks ever published. Other best selling titles in the series include Jumpin’ Jim’s Ukulele Tips ‘N’ Tunes, Jumpin’ Jim’s ‘60s Uke-In and Jumpin’ Jim’s Ukulele Country as well as collections of blues, bluegrass, classical music and jazz standards arranged for ukulele by some of the finest players in the world. All of the Jumpin’ Jim’s books are distributed by the Hal Leonard Corp.
Jim Beloff is the author of The Ukulele—A Visual History (1997 Backbeat Books) and has made three how-to-play DVDs for Homespun Tapes. In 1999, Jim debuted his concerto for solo ukulele and symphony orchestra. That piece, “Uke Can’t Be Serious,” has been performed many times since. Jim is also an active songwriter and has released a number of CDs. His latest 2 CD set, “Dreams I Left In Pockets,” features 33 songs he wrote or co-wrote with uke legends Herb Ohta and Lyle Ritz. Liz Maihock Beloff, with a background in film and television graphics, designs the covers and art-directs FMM’s songbooks, CDs and DVDs. She is also a talented singer who, before teaming up with Jim, sang with a cappella groups in college and New York City. Jim and Liz regularly perform together playing their family’s Fluke, Flea and Firefly ukuleles. 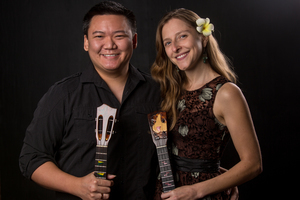 They have also gone on tours of Japan, Australia and Canada and believe in their company’s motto, “Uke Can Change the World.” http://www.fleamarketmusic.com/ and facebook.com/jimbeloffmusic. Fred Sokolow is best known as the author of over a hundred and fifty instructional books and DVDs for guitar, ukulele, banjo, Dobro, mandolin and lap steel, that are sold all over the world. Fred has long been a well-known West Coast multi-string performer and recording artist, particularly on the acoustic music scene. He has led bluegrass, jazz and rock bands and has been sideman for musical luminaries like Bobbie Gentry, Jim Stafford, Tom Paxton, Jody Stecher, The Limeliters and Ian Whitcomb. He has also played in many TV and movie soundtracks and in commercials and “other people’s recordings” too numerous to list. The diverse musical genres covered in his books and DVDs, along with several bluegrass, jazz and rock CDs he has released, demonstrate his mastery of many musical styles. Whether he's playing Delta bottleneck blues, bluegrass or old-time banjo, 30s swing guitar or screaming rock solos, he does it with authenticity and passion. Though she now lives in Los Angeles, Heidi was born in Hawai’i and received her first ‘ukulele from the Easter Bunny when she was five. (How perfect is that?) But the place she thinks of as home is Albuquerque, New Mexico, where she grew up and first started writing songs on the ‘ukulele and teaching herself to play. It was while playing the role of a singer/songwriter for a television pilot in 1992 that Heidi began playing the ‘ukulele again. In the spring of 2009 she made her first cd, Play, to facilitate teaching ukulele: something a student could listen to, practice along with, and enjoy, and has just release her second CD, A Cup of Tea. Today, Heidi teaches ‘ukulele across the country on a regular basis, organizes “play” parties for groups of all ages, and performs with the Sukey Jump Band. She is our go-to person for obscure songs and workshops on stagecraft and overcoming stage fright. Last but certainly not least, Ben is joining us from San Francisco to lend his unique talents. 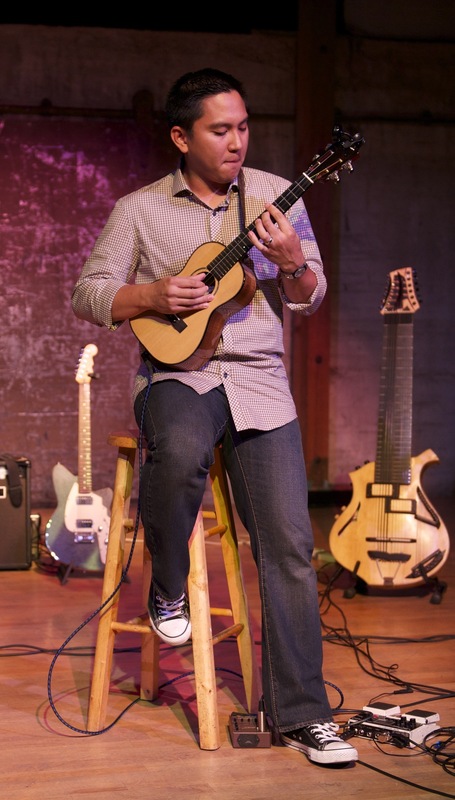 Fans have described Ben's style as a mix between diverse vocals and `ukulele virtuosity. He plays just about every type of music out there, and he doesn't hesitate to mix in a few stories between songs. 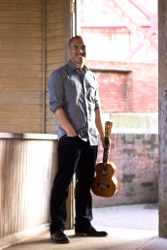 Born and raised on the island of Kaua`i, Ben studied the piano, trumpet, and baritone before falling in love with the four-stringed `ukulele. In 1999, he began his studies at Southern Oregon University where he would eventually graduate with an MA in Teaching, a BA in English Writing, and a minor in Human Communication. During that time, he also recorded two independent albums with his band Melemana.